I love marathoning television shows online. My DVR out in the living room is 97% full, but I still spend day after day marathoning television shows over in my craft room via Netflix. On an extremely productive day, I can get through a whole season. Usually, it takes me 3 or 4 days to do a full season of something, depending on how busy my day is with work and other activities. I love not having to wade through commercials or wait a week or even a year for the next episode. One after the other, I become absorbed in a show, its stories, its characters. I can no longer distinguish when an episode begins or ends, especially for those shows that don’t have opening credits. When I fell in love with Supernatural, I watched the first six seasons on DVD. I watched some of season seven on broadcast, but I found it difficult to watch just one episode. I wanted more all at once. So I had to wait for the season to end before watching the rest, all at once. Doing it that way was much more my speed. And I still haven’t even seen season eight. I am so dreadfully behind! Sorry, Sam & Dean! I go through tons of televisions shows thanks to my preference for marathoning. I’ve even fallen for some shows I never thought I’d like, let alone watch, thanks to Netflix’s recommendation system and my desperation for a new show. That’s what led me to give Sons of Anarchy a try. It didn’t seem like my kind of show. But Netflix kept telling me otherwise. 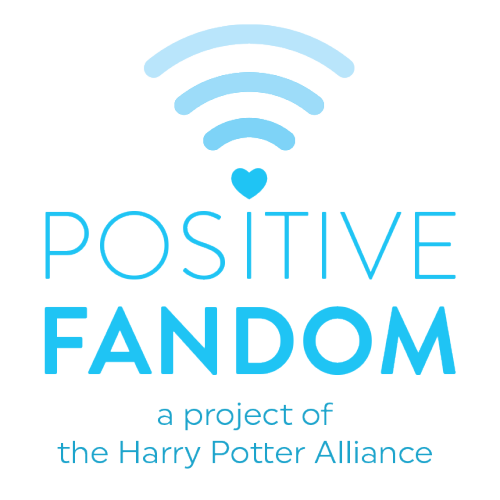 So I gave it a shot… and I fell obsessively in love–first comes love, then comes merch, fanfiction, user icons, and crafts. Guilty as charged. I watched the first four seasons over just a couple of weeks, devouring the characters, drama, and darkness. My newest favorite feature on Netflix is how they email me when a new season of a series I watched is now online for streaming. 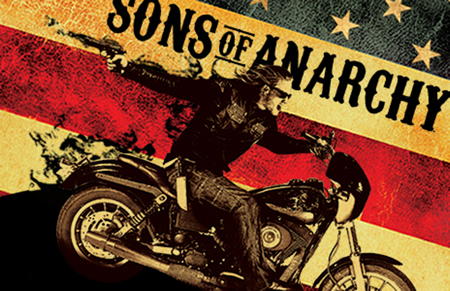 I’ve eagerly awaited season 5 of Sons of Anarchy, so when I got the email I was giddy with excitement. But I knew that the excitement would be short-lived. One season, about a dozen episodes, and the satisfaction would be over. I didn’t want to devour it so quickly and then have to wait another year for the next season. So I decided just to watch the whole series over again from the beginning. I got to relive all the amazing moments that impressed me, scared me, thrilled me, and saddened me. This time, I knew what to expect, so I could protect myself emotionally… at least, until I hit season 5. And then all bets were off, because I had been slightly spoiled for something that happened to one of my favorite characters. I wasn’t prepared, though. Living with these guys for 2, 3, 10 hours a day to have it all crash down in brand new ways around me? Heartbreaking! But so worth rewatching it all over again for. This is definitely going to become my new favorite way of watching a show. But I feel an emptiness now that I finished season 5 yesterday. Maybe it’s time to put in the Supernatural pilot episode and get caught up properly? Of course, I still have about six episodes of Doctor Who to catch up on and watch before the epic event next weekend!